In the late 1960s there was a kind of 'cultural' revolution in Italy, and at the heart of it there was the hope for a better and more inclusive society. Inclusive education was considered the first step. At that time, professionals working in the special needs system and in residential institutions for the disabled, convinced many parents to take their children out of these structures. They considered them ghettos and advised parents to enrol their children in mainstream schools. It was a massive phenomenon and tens of thousands of disabled youngsters left the institutions and the special needs schools which, for the time being, continued to exist. In 1971 this change in attitude and practice of school management was officially reflected by the law granting all disabled pupils, with the exception of only the most severely disabled cases, the right to fulfil their potential in local mainstream schools. In 1977 a new parliamentary act established inclusion for all disabled pupils aged 6-14 years, irrespective of their impairment, with the consequent closure of all special needs schools. There was an obligation for an Individualized Educational Programme to be maintained by the class teacher, with the help of a specialized support teacher working in the classroom. In 1987 the High Court issued a judgement granting the full and unconditional right for all pupils with disabilities, even the more severely disabled cases, to attend secondary education. Finally, in 1992 the Italian Parliament approved the Disabled Persons Bill (L.104/92), which included several articles stating the principles for good quality inclusion from nursery to university. Every disabled child is entitled to attend school, even after compulsory school, from crèche to university. Instruments and methods are provided according to the different kinds of school, in order to ensure the inclusion and education of pupils. . I will not dwell on crèche and university attendance, although it is important to point out that every child from 0 to 3 years of age is entitled to go to the crèche along with all the other children: these facilities are directly dependent on the local Council, which draws up proper regulations for their functioning, and disabled children have priority for admission lists. As regards university, it is possible for disabled students to take an examination supported by the use of a computer or other things; moreover further facilitations are provided, in order to support the right to study. However, I would mainly like to draw attention to the inclusion of disabled pupils in nursery, elementary, secondary and high school, pointing out the main features of Italian schools. During the academic year 2000-2001, 129,154 students with disabilities attended all kinds of schools, that is 1.56% of the entire school population. In order to start mainstream school procedures in Italy, it is necessary to submit a document attesting the degree of disability at the time when the child is enrolled; this also has to show a functional diagnosis which singles out the areas of the child's functional potential, as well as verifying the kind of disability and its seriousness. The functional diagnosis is written by the team of doctors of the local public health unit. On the basis of this, specialists from the sociomedical service, together with curricular and support teachers, as well as relatives, will then work out the Functional Dynamic Profile. This describes the current situation and the stages of development which have been achieved, and those which still have to be achieved, with regard to learning, socialization and improvement of independence. The Profile is drawn up for the first time at the beginning of the first year of attendance, and it is then updated when the child moves to another school. The Plan for Individualised Education is based on the Profile; it includes a description of the interventions provided for the disabled pupil during a certain period of time, taking into account the didactical educational projects for rehabilitation and socialization, and the different kinds of integration between school and outside school activities. The Personal Educational Plan is worked out by the teacher and socio-medical workers together with the parents; it is drawn up at the beginning of the school year and is verified and updated throughout the year. Law 104/92 provides for the presence of support teachers in all schools. 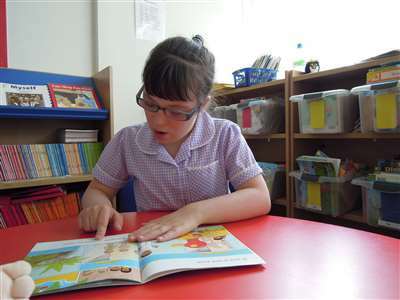 The support teacher is assigned to the class in which the disabled child has been introduced, in order to carry out individualised interventions according to the needs of every pupil. The assignment is made after a child with a disability has been enrolled in a class. The number of hours spent with the child by the support teacher is based on the Functional Dynamic Profile, and is therefore appropriate to the child's needs. The global demand of support teachers is currently assessed on the ratio of one teacher to every 138 pupils attending public schools in the Province (on average there is one teacher to every two disabled pupils). However, the teacher is assigned to the whole class and collaborates with other teachers in order to improve the inclusion of the disabled child, who is part of the class as well and to whom all teachers must relate. This is another reason why the support teacher takes part in the evaluation of the whole class he or she is working in. The role of the support teacher can be defined as multifunctional: as a matter of fact his/her work is based on connection and coordination with other professionals; s/he works as a team with other teachers and represents a point of reference within the relationship with the disabled pupil; moreover s/he carries out at the same time the activity of both individualised and group rehabilitation. It is important that, when moving from elementary to secondary school, the support teacher ceases to be a 'protective model' and becomes a 'model of independent growth'. Support teachers are supposed to have attended a special qualifying course. In the past it lasted two years, whereas nowadays the qualification is attained at university, where the course lasts six months more than the Qualifying School, which is necessary for every teacher. Regulations have taken into account the theme of didactic continuity when changing placements, providing not only the transmission of documents between schools, but also allowing meetings of the respective teachers and giving the support teacher the chance to look after the pupil during the transfer to and initial attendance at the new school. there cannot be more than 20 pupils in the first classes of the respective cycles. in any case there cannot be more than 25 pupils in the class where a student with disabilities has been introduced. the presence of two pupils with disabilities within the same class depends on special circumstances, and only in the case of minor disabilities. The evaluation methods for compulsory school are the same for all pupils and depend on the achievement of the targets established by the planning of the class or by the Plan for Individualised Education. The latter provides examinations according to the kind of teaching that has been carried out; they are useful for evaluating the progress made by the pupil, taking into account his or her potential and initial level. Therefore, examinations can be different from those arranged for other pupils. High school evaluation can be the same as that of other students if the disabled pupil follows the curriculum of the class, even if he or she is supported by specific methods; it is different if the student is subject to a special curriculum. In this case, at the end of the course of study, the student will get some formative credits instead of the degree, which can be used for other formative or work experiences. During the last few years, mixed paths have been arranged between high school and vocational training centers or companies where apprenticeships or internship can be carried out; this has been done after having realized the difficulty of high school subjects and the problems that students with disabilities have in learning them. This is a summary of the main features of the Italian school system concerning the acceptance of students with disabilities who now attend mainstream schools whatever the seriousness of their disability. However, there are still some things which are not working properly: there is still a lot to do with regard to the qualifying of teachers, and the initiatives to improve their training are increasing; this obviously ensures the qualification of the support teachers as well. While the discussion about mainstream elementary and secondary school is more complex, although now stabilized, there are still many difficulties concerning high school. Nevertheless, we hold that the goals achieved during the last few years in terms of the education and socialization of pupils with disabilities are good, together with the effect that this change has had on the organization of schools in general. The attention paid to individual teaching and the search for new teaching and learning methods have improved the quality of our schools for all children, taking care of their many little differences. The experience of the sharing of school desks has also contributed to a cultural change in our society; it has led towards a greater tolerance and a new consideration of diversity, which is no longer a hindrance but a useful resource. Going into details of the experience and the results of mainstream school concerning individuals with Down syndrome, I deemed it useful to the aim of this convention to quote some data and remarks from recent research on the quality of mainstream school for persons with Down syndrome carried out by Paola Gherardini and Salvatore Nocera for our Association. Each category has four possible answers, in order to single out the four levels of quality (high, average, minimum, unsatisfactory). human resources (i.e. criteria regarding the composition of the class, the presence of teachers for support activities, refresher courses for teachers and administrators on the theme of scholastic inclusion, the presence of assistants, other personnel, the working of the coordination group for pupils with special needs). structural resources (the presence of laboratories, library, multi-media equipment, specific materials, resource center, transport). financial resources (the availability within the school budget of funds allotted to inclusion). the use of the above-mentioned structures. the existence of inter-institutional juridical reports to ease the implementation of school service. the didactic organisation in all its aspects. the changes evaluated in the personal growth of the students (as regards autonomy, language, logic, socialization and self-awareness). The sample group consisted of 385 cases spread over the entire country (114 cases in the north, 106 in the center, 154 in the south and 11 in Sicily). An analysis of the results has shown that the presence of appropriate structures and the optimization of the inclusion process has given positive results for the development of the learning potential of each of these pupils. As far as personal independence is concerned, we can see that the majority of the pupils with Down syndrome reach a high level, especially while growing up. We can see that progress is being made in the area of independence as regards school work, thus promoting the metacognitive ability of self-regulation: the habit of completing an activity in an independent way and working alone will indeed enable the individual to face problem-solving situations and to transfer what has already been experimented (i.e. learnt) to situations which are similar but different. As far as language is concerned we can see that problems of articulation do not hinder communication. The keyword phrase is still used by a certain number of primary and middle school pupils, but the number of those who organize, extend and use the structured sentence is more consistent. The de-codification of simple images (symbols) is an ability that a substantial number of students with Down syndrome possess, as is the use of non-verbal language as an alternative to the verbal code. As far as reading and writing where global data is concerned, we can see that these skills are acquired progressively by students with Down syndrome and at different rates. on the one hand 39% of primary school pupils, 27% of middle school pupils and 13% of high school pupils are either unable to read or can read only single letters. on the other hand approximately half the pupils of primary and middle school and 2/3 of those at high school read and understand short phrases or more. the others read single words. on the one hand, 20% of primary school pupils, 11% of middle school pupils and 3% of high school pupils are not able to write or even copy. on the other hand, 13% of primary school pupils, 25% of middle school pupils and 32% of high school pupils can write short phrases autonomously, while 2%, 9% and 30% respectively can write short compositions autonomously. the others can write single words, either copying or under dictation. As regards mathematics and logic there is evidently a great variety of level of ability and of acquisition time. Several studies at international level have shown that a great individual variability is a typical factor of Down syndrome. This derives from genetic factors, yet it is also strongly influenced by editorial and didactic factors. The teaching/learning process is of utmost importance from the very first contact with the subject, especially in the areas of increased abstraction. Overall, we can see that the percentage of competent pupils decreases as the complexity of the logical operation increases, but it increases relatively as the pupils progress through the school system. 23%, 31% and 23% of pupils respectively of primary school, middle school and high school are not able to form sets. 21%, 14% and 2% are not able to count. 35%, 34% and 32% are not able to match the number with the quantity. 22%, 15% and 1% are not able read numerals. the remaining percentage refers to those pupils who have these abilities, some of whom are competent to a high level of mathematical ability from primary school level. 50% of primary school children can add and subtract by manipulating objects or by means of graphically represented objects. in middle school 50% of the pupils can add and 48% of them are able to subtract using the same method. at high school 62% of the pupils can add and 54% are able to subtract using the above-mentioned method. at primary school 11% of the pupils can add, 7% subtract, 3% multiply and 2 % divide. at middle school 15% of the pupils can add, 12% subtract, 7% multiply and 3% divide. at high school 27% of the pupils can add, 21% subtract, 15% multiply and 3% divide. The presence of high levels of ability shows that pupils with Down syndrome are also able to learn more complex logical procedures and that a uniform maximum level of learning for them cannot be established a priori. As regards the socio-affective sphere, we see that two thirds of primary and high school pupils and slightly less than two thirds of those at middle school interact openly and in the same way both with adults and their peers. As a matter of fact, people with Down syndrome possess good communicative abilities starting from their early childhood, and there is a strong correlation between this and the quality and methods of communication both within the family and outside it. The development of social abilities is not only connected to age, but it is greatly influenced, both in a positive and in a negative sense, by the social and educational environment. As children with Down syndrome grow up, so does their perception of their difficulties. This can lead to a self-awareness that helps them to accept and understand their situation, comparing their difficulties to others' difficulties. It is also essential to promote and support the pupil's sense of self-effectiveness, since it fosters his/her will to learn and enables him/her to face situations of cognitive difficulty without being overwhelmed by the experience of frustration. The generalization of the last 20 years concerning the good potential level of education of pupils with Down syndrome was previously inconceivable; this shows that there should not be generic, rigid and pre-defined expectations regarding the level of ability these pupils may or may not reach. We have found different levels in the various areas and with this in mind, and we should bear in mind the individual differences in the development of the child with learning difficulties. We have also found that some more complex abilities have been attained by some pupils with Down syndrome over a range of chronological ages. We do not believe that this is always and merely due to genetic reasons or to the development process, on the contrary we hold that it can be ascribed in equal measure to the richness and appropriateness of the environment the child is brought up in. The family environment is obviously important, yet an essential role is also played by the methods of the teaching/learning process tried out in the course of their school life. Moreover, we would like to point out the decisive role of the classmates, considered as a group in which the pupil with Down syndrome can develop better social abilities, and reinforce the teacher/as teachers in class activities. We believe it is necessary to emphasize that the level of ability of pupils with Down syndrome is reassuring, bearing in mind that there is a cognitive disability. If we compare our results with those from l0 years ago concerning pupils with Down syndrome, we see that the levels are higher and more generalized. Finally, if we look at the results of international literature we can see that, while individuals with Down syndrome show a decrease in IQ with the increase of chronological age, the Italian situation does not seem to have this tendency, and this is certainly due to inclusion. The research clearly indicates that the percentage of pupils competent in academic learning increases with age and with their progress within the school system. It is necessary to highlight the importance of a high level of human resources, by which we mean not only the specific didactic abilities of the teacher but above all of their capacity for co-operation, organization and flexibility, and also their positive attitude, convictions and behavior. In our survey we have seen that a large number of teachers believe that they have modified their attitudes towards their pupil with Down syndrome. This change of image of pupils with Down syndrome, and consequently of the way teachers behave with them, is without a doubt the result of 30 years of scholastic inclusion. Data regarding material and financial resources are on the whole positive, yet sometimes the use of the social structures is a critical aspect of the inclusion process. It seems that the existence of legislation is a necessary condition, yet alone it is not enough for the achievement of good quality levels in the results. Below is a poem I got as a present from a girl with Down syndrome; I'd like to dedicate it to you as an invitation and a wish.